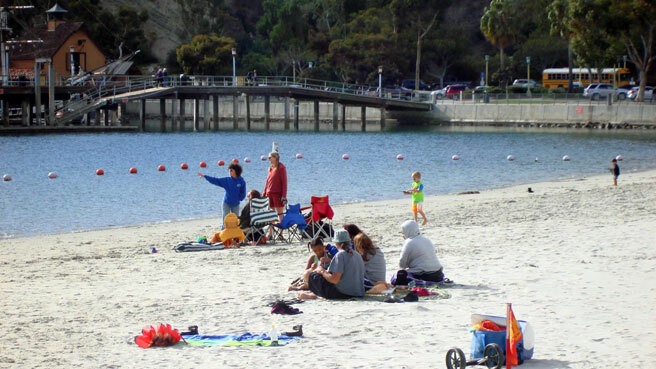 Set in the Spanish-style village of San Clemente, this beach has baby swings, a grassy area and a feature that will send any toddler jumping for joy—the train! Spend time here browsing boutiques, basking in the laidback surf culture and walking through green landscapes. 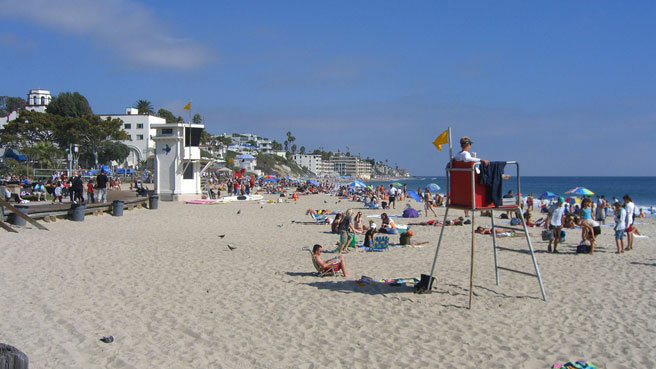 Atmosphere: San Clemente has all of the seaside beauty of beaches further north in Orange County, but with a more informal, less image-driven character. Visitors come here to relax, surf, camp or walk the miles-long path along the beach. Parking and Entrance: Park on the hillside in the metered parking lot or on one of the side streets. You’ll need to cross over or under the railroad tracks. 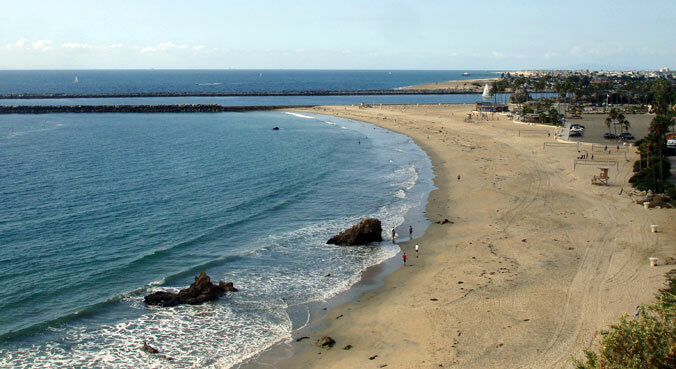 The beach gently slopes down from Avenida Del Mar, but elsewhere access is sometimes from high bluffs. 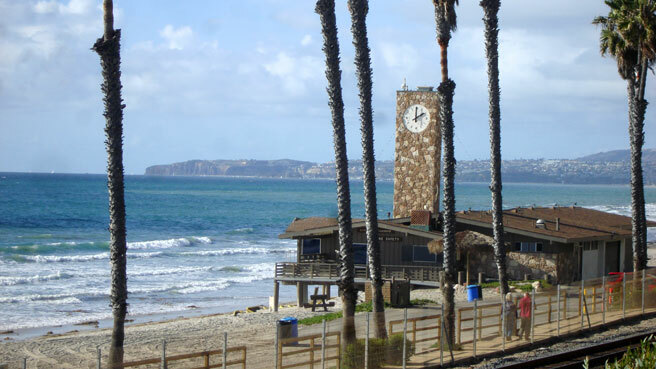 Nice Walks and Views: Park on Encino Lane, north of the pier, to take your baby or toddler to Linda Lane Park, one of San Clemente’s oldest parks with a recently refurbished playground and ocean view. Afterwards, walk along the San Clemente Beach Trail. Activities for Toddlers: Let your toddler watch the train honk its horn as it goes by. Also, see if he can spot a fisherman catching a fish off the pier. Bathrooms: Bathrooms and outdoor showers are on the beach and bathrooms are on the pier. Perks for Parents: Trestles, a famous, secluded surf spot, well known for its toll-road controversy, is south of San Clemente in San Onofre State Beach. Take the baby and stroller on this nice nature walk via the long asphalt trail and you might catch a surf contest. Where to Stay with Kids: The funky Beachcomber Motel, at the top of the hill from the beach, has a private, enclosed grass area and views from every room. Baby-friendly Restaurants: After a long day at the beach, take a short walk on the pier to Fisherman’s Restaurant, a typical seafood place in an awesome location. Try the clam chowder while staring right into the sunset. What Else to Do: Go shopping in downtown San Clemente, or head over to the Rainbow sandal outlet for a pair of the most comfortable flip flops ever.